Think pink! 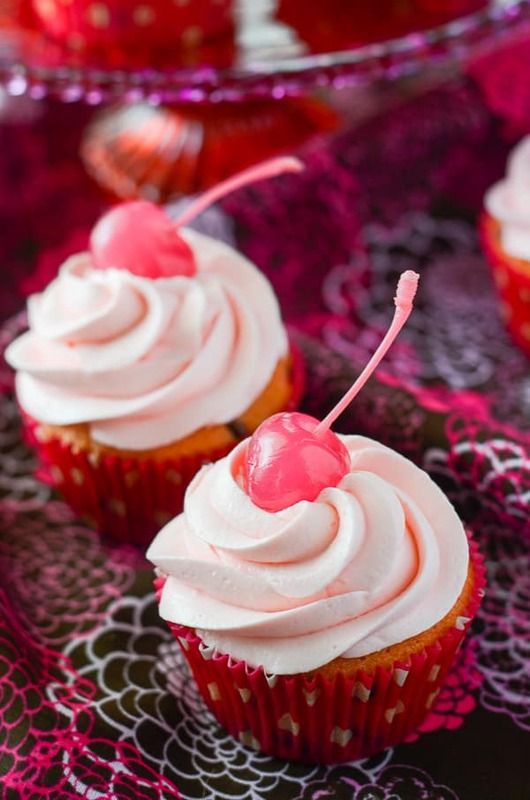 These delightful maraschino cherry chocolate chip cupcakes are topped with a fluffy pink chocolate buttercream, and were baked (and eaten!) for a great cause! Have you ever wanted to get involved in something? And no, I don’t mean a relationship or an argument – I’m talking about a cause. My day job company is involved with charities all through the year, everything from United Way to March of Dimes, so I’m very familiar with working for a good cause. Usually it involves asking for donations, building homes, and getting people to sponsor you on a walk – all very effective ways to raise money to help those in need, but this year, I’ve found my very favorite way to participate! 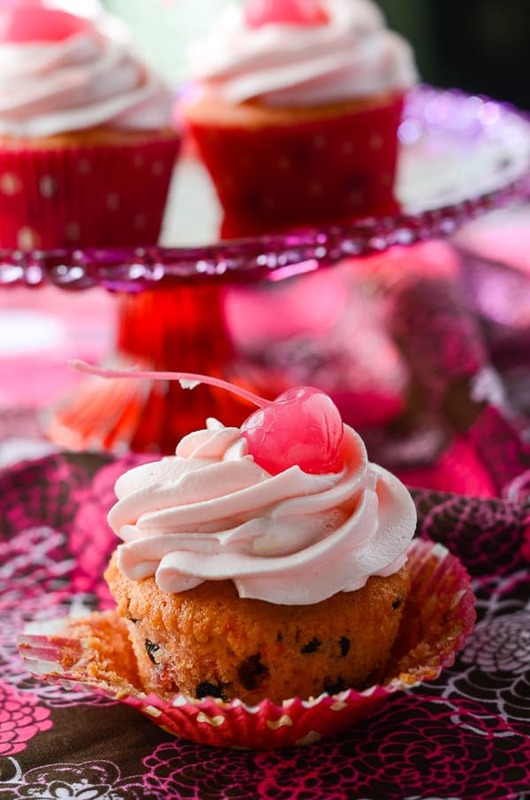 KitchenAid (makers of my very favorite baking appliance) put out the call to Cook for The Cure, and I answered with these very pink (and tasty) Cherry Chocolate Chip Cupcakes with Pink Chocolate Buttercream, complete with pink maraschinos! You can be a part of #10000cupcakes, too! Read on! October is Breast Cancer Awareness month, 4 and as a woman, this is a topic that is very important to me. Did you know that almost 300,000+ new cases of breast cancer (both invasive and non) will be diagnosed in 2015? And one out of every eight women will develop breast cancer in their lifetime. After melanoma, breast cancer is the most common form of cancer in women, and over 40,000 women in the U.S. are expected to die from it this year. But there is a light at the end of the tunnel. Thanks to organizations like the Susan G. Komen Foundation, and contributions from companies like KitchenAid, research has helped to raise awareness, which has resulted in earlier detection through screening – and death rates have been decreasing steadily since 1989. 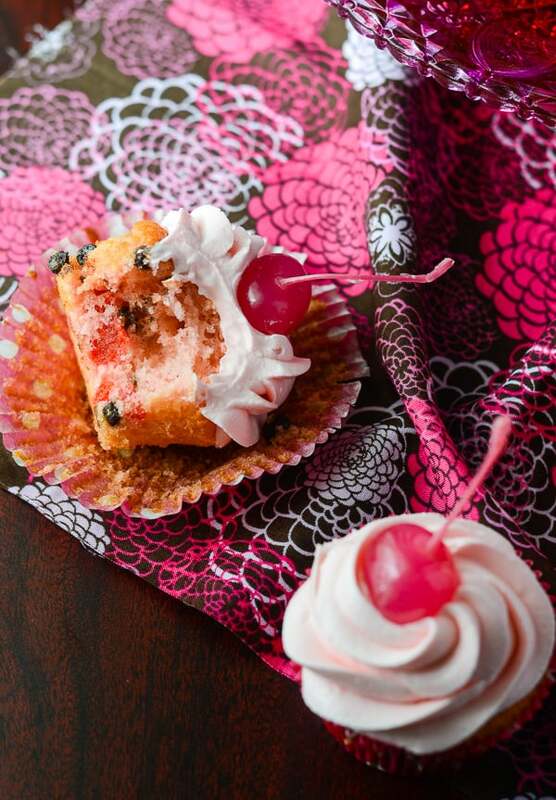 So, how does baking cupcakes help treat breast cancer? 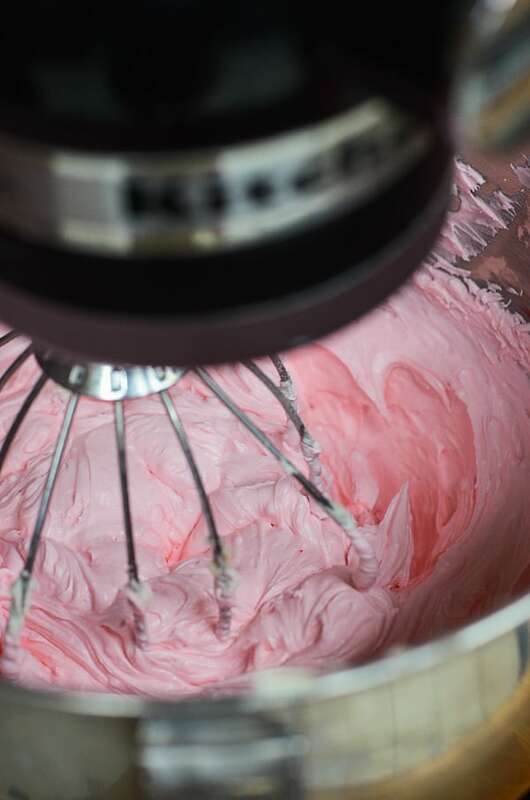 Aside from making a patient smile, it has no practical treatment – but the awesome folks at KitchenAid launched a new social media-based program called 10,000 Cupcakes this month, to support Cook for the Cure. The 10,000 Cupcakes campaign encourages cooks to bake up a cupcake recipe, snap a picture of the finished product and share it on Twitter or Instagram using the hashtags #10000cupcakes and #donate. For of the entire month of October, KitchenAid will donate $1 for each and every cupcake photo that’s shared up to $10,000! 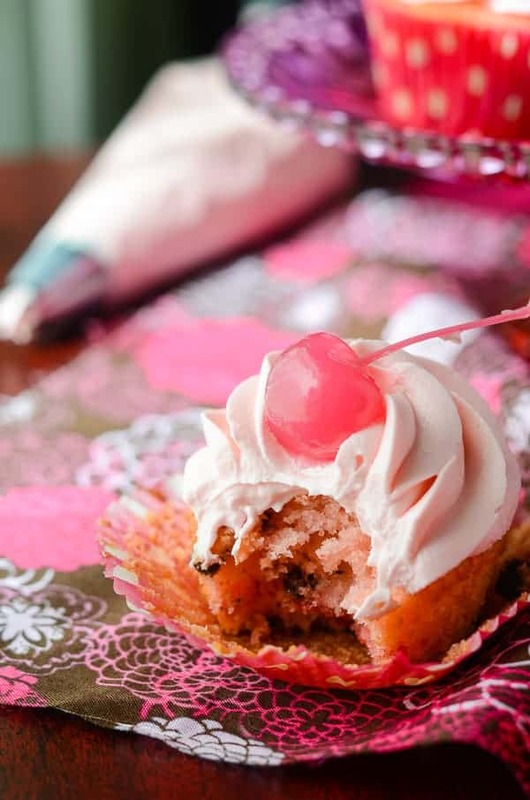 Who would have ever thought you could make such a difference by baking cupcakes? If you’re not the baking type, there are other ways you can help! 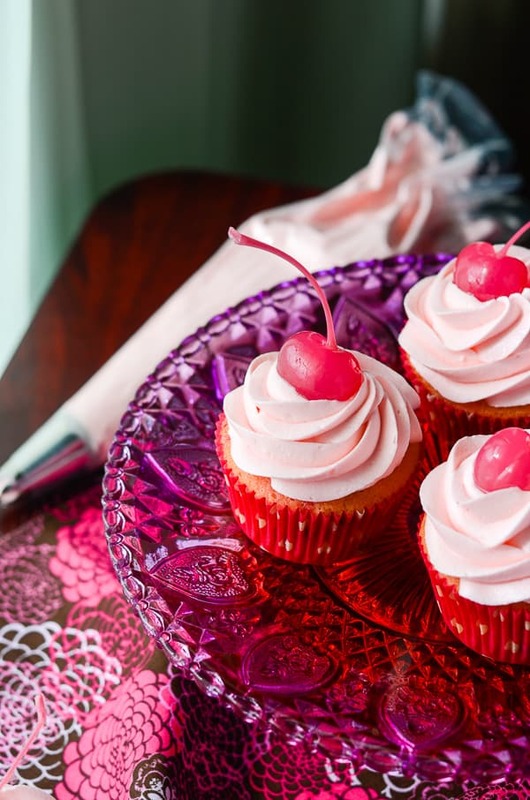 Host a Cook for the Cure party, and encourage your friends to bring cupcakes (or other delicious yummies) to support the cause. KitchenAid has even created a party kit to help you get the ball rolling! 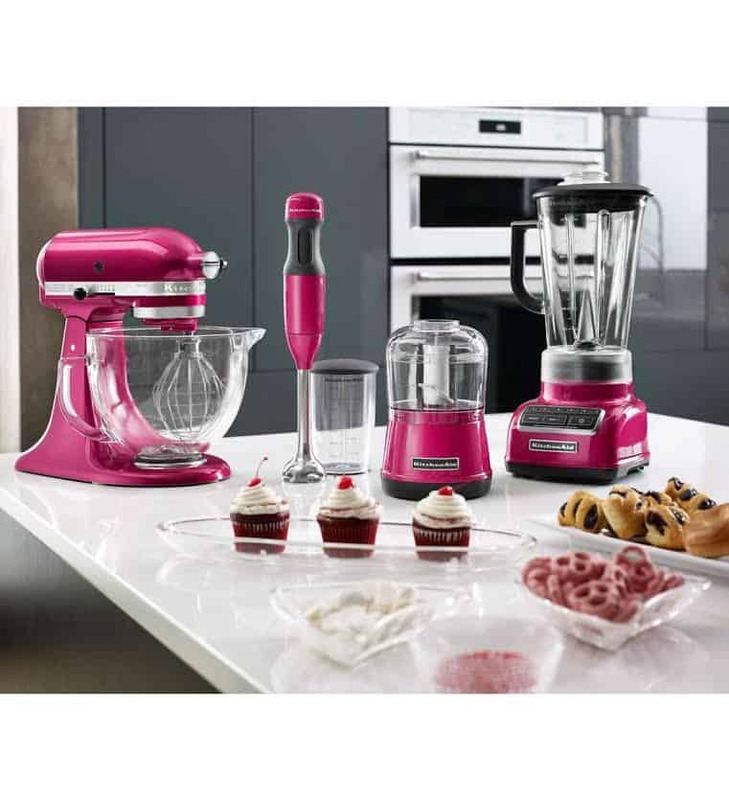 If you can’t throw a party, KitchenAid also hosts cooking classes, auctions, and special events where 100% of the donations go toward funding breast cancer research. They even have a Pass-the-Plate program, where with every special Villeroy & Boch plate registered and passed, KitchenAid will donate $5 to the Susan G. Komen Foundation. Of course, you could also head to hhgregg and buy up every single one of their adorable pink KitchenAid products, too, and show your support in your own kitchen year-round. Preheat oven to 350 degrees F. Line cupcake pans with 18 standard liners. Set aside. In a mixing bowl, whisk together flour, baking powder, baking soda, and salt. Set aside. Combine buttermilk and cherry juice in a measuring cup and set aside. In a KitchenAid stand mixer fitted with a paddle attachment, cream butter and sugar on medium-high speed for 2 minutes until combined. Blend in vanilla extract. Add egg and whites 1 at a time, beating between each until combined. Alternately add flour mixture and cherry-buttermilk mixture, beginning and ending with flour mixture, until just combined. Gently fold in chocolate chips and chopped cherries. Using an ice cream scoop, fill prepared cupcake liners 2/3 of the way full with batter. Bake for 18-20 minutes, or until a toothpick inserted in the center of the cupcakes comes out clean. Remove from oven to cool in pans for 5 minutes, then bring to room temperature on cooling racks before icing. In a microwave-safe bowl (or double boiler), melt white chocolate in 30-second bursts until consistently liquidy. Set aside to cool to room temperature. In a KitchenAid stand mixer fitted with a whip attachment, add butter and sift 2 cups of powdered sugar over it. Beat on low to combine, then increase speed to high for 3-4 minutes to blend. Add melted chocolate, vanilla and almond extracts, and salt, and blend on low until incorporated. With mixer on low speed, add in whipping cream. Once incorporated, increase speed to high and whip for 3-4 minutes, adding dye or juice in the last minute or so. 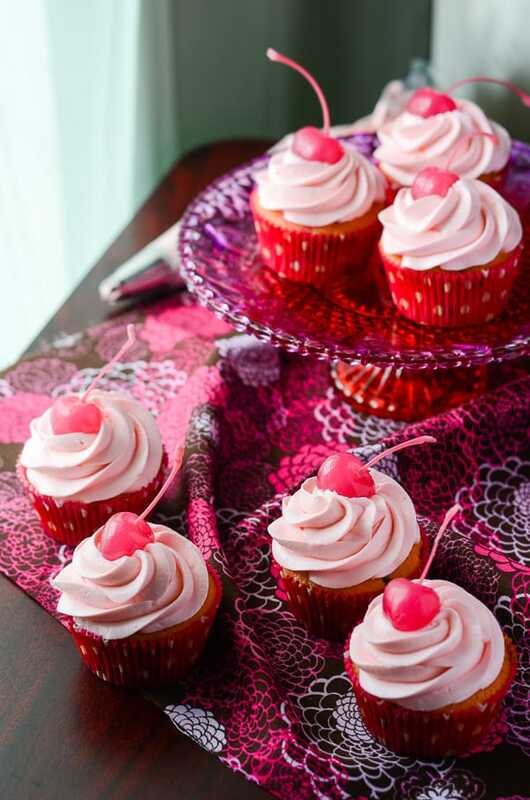 Pipe or spread icing onto cooled cupcakes, top with a pink maraschino cherry, share, enjoy, and tag!! Will you join me in the #10000 Cupcakes campaign?! 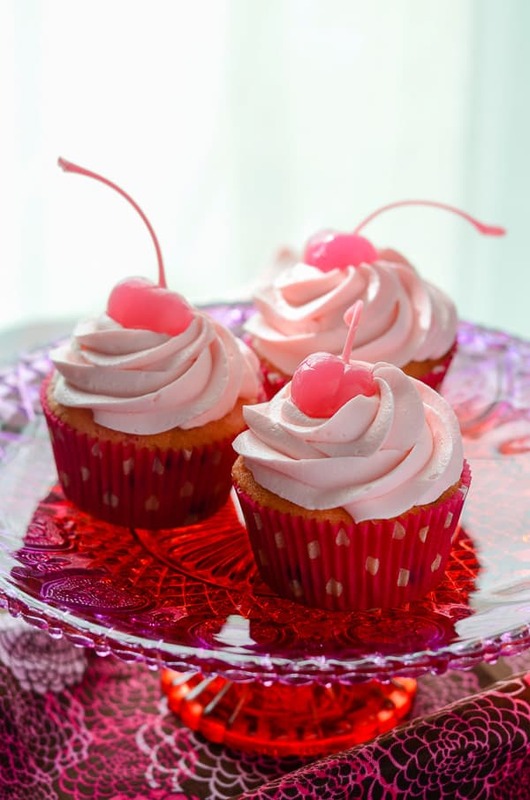 These are beautiful – love the pink cherry! What a great campaign to be a part of – so glad we are helping raise awareness! Fantastic recipe for a fantastic cause! We will be able to fight cancer much stronger if we all get behind causes like this! These cupcakes look fantastic too. I LOVE the pink cherries where did you get them from?! These look fabulous AND yummy! I agree – nothing is better than baking for a cause! Thanks for a great recipe!